Catherine Piedad knew well the isolation that came with working far from home. But she never felt more alone than in the basement of a $1.7 million Newton home. As a nanny and housekeeper for years in Kuwait, Qatar, and Hong Kong, Catherine Piedad knew well the isolation that came with working far from home, all so she could send money home to her two children in the Philippines. But she never felt more alone than in the basement of a $1.7 million house in suburban Boston. She worked long days to clean, cook, and care for a Russian family’s young twins, and slept in a spartan room with little daylight and no bureau for her clothes. After three months, Piedad, 35, felt trapped. Her employers illegally withheld her passport and started docking her pay, she said. They forbade her from making friends and barred her from leaving the house on Saturdays, her only day off, saying she might pick up germs and infect their third child, who was sick. Piedad endured those days alone in the basement, she said, sneaking up to the kitchen at night for food. She only learned she was in Newton, she said, because the recycling bins said so. It would take a nerve-racking call to the police last September for Piedad to win her freedom. she told the dispatcher in slightly halting English, according to the 911 recording. An estimated 67,000 of them work in Massachusetts — equivalent to the employment in Boston’s finance industry. Most are treated fairly and paid lawfully by their employers. But because they toil behind closed doors, these workers are vulnerable to wage theft and other mistreatment, say legal advocates and law enforcement authorities. And for immigrants, who comprise about one-third of this work force, the challenges are greater. Many put in grueling hours and are paid less than minimum wage, while being denied basic rights like time off. Some report suffering physical or emotional abuse. In the worst cases, employers have hidden the passports of live-in workers, prevented them from contacting family and friends, and held them in isolated servitude that authorities consider a form of human trafficking. There are no state or federal statistics tracking violations of domestic workers’ rights. Legal advocates and law enforcement officials say only a fraction of the abuses are reported. Among those, some cases settle privately, while others are pursued in court. Many workers simply move on, fearful of reprisal if they complain. But the stories of individual women, recounted to the Globe in dozens of interviews, show just how bad things can get. There’s the nanny in Arlington who had to sleep on a bedbug-ridden couch in a basement. And the Bolivian housekeeper essentially enslaved in suburban Harvard, unpaid for 13 years. Another Filipino nanny, who was caring for triplets, slept on a mattress on the floor of a Newton apartment. When she announced she wanted to quit, she said, her employer angrily shut the door of a hot oven on her, briefly trapping her arm inside. She managed to escape in December, slipping away while taking out the trash. While abuses can happen to any domestic worker, those who live with their employers are most vulnerable, at risk of becoming homeless if they complain about their treatment. More than one-third of live-in workers reported being threatened, insulted, or verbally abused in a national survey of more than 2,000 domestic workers. The women whose experiences are detailed here have all had their cases vetted by their lawyers and have filed allegations in court or with government authorities. As part of applying for visas to stay in this country, they have agreed to assist in potential prosecutions of their former employers and have signed those papers under the pains and penalty of perjury. Elvia Morales Cruz, a Guatemalan domestic worker, was employed by Max Borten, a Newton medical malpractice lawyer, to care for his four adopted children — and two more after he got married — from 2006 to 2010. She earned $400 a week, working from 7 a.m. to at least 7 p.m., six days a week, according to records in a lawsuit Cruz filed in Dorchester District Court. While caring for a household of eight, Cruz had to buy her own food and live in a damp basement, according to her lawsuit, which sought to recoup minimum wage pay and overtime. She had only Sundays off, when she went to church. After Cruz went to court, Borten threatened to report her immigration status. Acting as his own attorney in a deposition, he grilled the longtime caretaker of his family on details such as how she spent the hours when the children were at school and what she told the authorities about him. “Could you spell out what was the mistreatment?” Borten asked. Borten, contacted by the Globe, declined to comment. In court documents, he said he fired Cruz for being emotionally unstable. He paid $10,000 to settle the lawsuit. The people who hire domestic workers are bankers, lawyers, diplomats, politicians, foreign businessmen, and regular, middle-class American families. Yet nearly one-quarter of nannies and others they employ live in poverty; most do not have health insurance or retirement savings. These workers have gone largely unprotected by federal fair labor laws adopted in the 1930s, which excluded farmers and domestic workers, many of whom were black. Even when the US rules were updated in the 1970s, to require minimum wage and overtime for domestic workers, live-in workers were left out. And many employers simply have not followed the rules. In April, a new Massachusetts law protecting domestic workers took effect that requires overtime pay and other protections. It calls on employers to provide a written contract to employees who work more than 16 hours a week in their home, outlining duties, work hours, and rights such as time off. Healey expects the recently adopted regulations to help strengthen enforcement efforts. But state and federal officials say domestic worker cases are often complex. Not only is it frequently the worker’s word against the employer’s, but many workers fear retaliation by their employers if they complain or report problems. Noiva Ferreira de Resende , a 40-year-old Brazilian, did seek and get help from the attorney general’s office. She came to Boston in 2012 to work for an executive vice president of Santander Bank and his wife. She lived with them in their Chestnut Hill home, cooking and cleaning, doing all the washing and ironing, and caring for their dogs. She said she was paid $300 a week for 14-hour days, five days a week, or about $4 an hour. That was far less than the $7.25 federal minimum wage promised in the English version of her work contract, a copy of which was reviewed by the Globe. The Portuguese version of the contract — the one she could read — was different in several ways, including not citing the minimum wage. 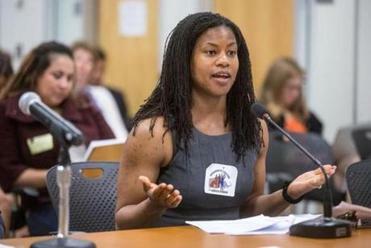 Lydia Edwards, an attorney at Greater Boston Legal Services, spoke during a May hearing on the new Domestic Worker's Bill of Rights held at the attorney general's office in Boston. After once spending 15 days straight in the house without being allowed to leave, de Resende said she was depressed and wanted to quit. Her lawyer, Lydia Edwards, a fellow at Greater Boston Legal Services and formerly with the Brazilian Immigrant Center, took her case to then-Attorney General Martha Coakley’s office and to the US Department of Labor. In settling allegations of minimum wage violations with the attorney general, banker Guilherme Bueno de Moraes and his wife, Adriana, denied “any liability or unlawful conduct,” but agreed to pay their former employee nearly $17,000, plus a $5,100 penalty to the state. De Resende is in the process of applying for a U visa, which is available to immigrants who are victims of crimes. Her employers, through their lawyer, declined to comment. Many live-in domestic workers like de Resende feel a special sting from what they say is mistreatment by their own countrymen. They come to the United States with their employers, on a work visa. They are here legally, but only while working for that particular employer. It’s a vulnerable state that can lead to abuses: Because the visa is not portable, the worker is entirely dependent on the employer for money, housing, and legal status. 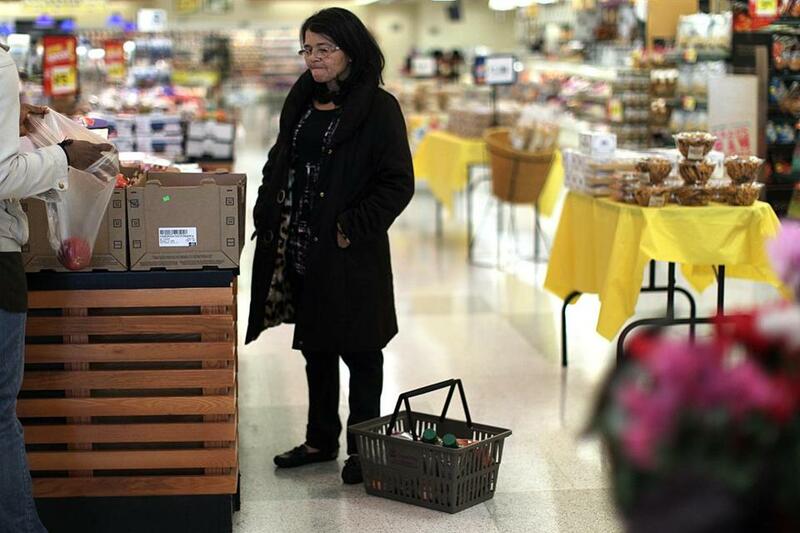 That’s why Piedad, the Filipino woman working for the Russian family in Newton, wondered what to do when she was no longer allowed to leave the house on her own. Under her contract, she was supposed to get 15 days off a year, and work eight-hour days, according to her lawyer. In reality, her days started at 6:45 a.m., Piedad said, cleaning the first floor of the house before the children awakened. She did all the cleaning of the four-bedroom, 3.5-bath house, washed and ironed the family’s clothes, and cooked for the father when he was in town. Her days often lasted until 9 p.m., when the children went to sleep, she said. She sent most of her $1,200 in monthly wages home, keeping $60 in spending money for herself. When the family stopped permitting her to go out on Saturdays, Catherine grew frustrated and fearful. Aware of her growing unhappiness, Piedad’s employers, a Russian lawyer and his wife, took her passport, according to Piedad’s version of events and the Newton police. Piedad recalled thinking, “I’m just working with you. I’m not a kind of property.” When Piedad confronted her employer, she told police, he threatened to send her back to the Philippines that very night. Efforts to reach the employers in Russia by phone and e-mail were unsuccessful. Piedad’s cellphone did not work in the United States, but she could make an emergency 911 call. So on Sept. 21, a little after 5 p.m., she mustered her courage. A recording of the call, which the Globe obtained from the Newton police, reflects her fear in those moments, as a dispatcher tells her to wait for a cruiser to arrive. Soon, a police officer was at the front door, then joined by a second. Police officials in interviews said it was an emotional scene, with the mother and grandmother saying they needed the nanny because they had a sick child. If Piedad was to quit, they told police, they didn’t want her to stay in the United States with a visa listing them as her employer. At the request of police, the mother turned over Piedad’s passport. She also paid Piedad the month’s salary she was owed. The officers waited while Piedad stuffed her clothes in two garbage bags and called a cab. She is now staying at a safe house, while her lawyer assists her in applying for a T visa, which is extended to people who have been victims of human trafficking. “She really is someone who was trafficked in the full meaning of the word, in other countries as well,’’ said her lawyer, Julie Dahlstrom, who recently joined the Boston University School of Law’s Human Trafficking Clinic. There was no detailed police report of the incident, officers said, because there was no crime. Domestic workers have had little leverage when it comes to fighting for wages or health care. Edilene Moraes Almeida , a housekeeper for a Brazilian diplomat, had few options when she fell ill with a brain tumor and debilitating headaches. From 2009 to 2011, she worked for Brazil’s former vice consul in Boston, Jose Marcos Nogueira Viana. She rose most days at 6 a.m. to make Viana breakfast and help him get ready for work, she said, and do laundry and housekeeping, for which she was paid $255 a week. Her employer told her to say she was earning $8 an hour, if asked, according to her visa filing. Meanwhile, they had let her visa expire. So when they left, she had no legal status and little money. Her lawyer tried to collect $48,000 in overtime she said Almeida was owed, to no avail. Edilene Moraes Almeida was left behind by her employers in Boston with no legal status after she told them she was too sick with a brain tumor to move with them. Many alleged abuses by employers go unchecked, according to lawyers and law enforcement officials. Often, domestic workers are too fearful to confront their employers or go to the authorities. “There’s a misconception that if you contact law enforcement, or seek someone in a badge or uniform, you’re going to get deported,’’ said Peter DiMarzio, a victim assistance specialist with Homeland Security Investigations in Boston. “These are things traffickers tell their victims,’’ to discourage them from complaining, he said. That was the fear that gripped “CB,” a woman who began working for a family in her native Bolivia when she was just 16. A few years later, in 1997, her employers, a Worcester native named Richard Smalanskas and his wife, Martha, used faked documents to bring her to the United States, according to filings by federal prosecutors in a 2012 criminal case against the couple. CB, as she’s called in court records to protect her identity, thought the move was her ticket out of poverty and a fourth-grade education, to a better life. Instead, she spent the next 13 years as a captive, first in Sudbury and then in a remote neighborhood in suburban Harvard. The Smalanskases bullied CB for half her young life, denied her $300,000 in pay, and held her in a state of indentured servitude, according to court records. The subdivision in Harvard is quiet and grassy, miles from the nearest grocery store. It’s a place where residents can leave a bicycle unlocked on a front porch. But CB needed permission just to leave the house. Records in federal court in Boston detail CB’s exhausting days, waking early to get three children off to school, and delivering the father’s lunch with his briefcase to his car by 6 a.m. She would do household chores until Martha Smalanskas awoke around noon, when CB would cook her breakfast, including fresh-squeezed orange juice. She washed the cars, mowed the lawn, planted flowers under the stern watch of the mother, known as “Marta,” and shoveled snow in winter. Even minor missteps could spark the mother’s fury, according to court filings; CB recounted being slapped, scratched, and having her hair pulled. In one altercation, she fell down the basement stairs, injuring her back. When the family vacationed in Bolivia, CB had to stay behind and sand the floors. And when her father fell ill in 2008, the Smalanskases refused to provide her passport or let her travel. The couple denies “any suggestion that they engaged in any form of abuse, physical, mental or otherwise,” their lawyer, Phil Cormier, said in an email. In 2011, State Police received an anonymous tip from a neighbor saying the Smalanskases kept a “slave” in their house. Homeland Security Investigations launched an inquiry, interviewing a tearful CB, by then 32, and searched the home. CB had been promised meager pay of $100 to $150 a month. In reality, she earned about $2,500 over 13½ years, or less than a nickel an hour, prosecutors said. A grand jury indicted the couple in 2012 on charges of conspiracy to bring CB to the United States, and harboring an illegal alien. They faced 10 years in prison if found guilty. But prosecutors’ first priority was to recoup money for CB. And there was a complicating factor: After escaping from Harvard, she had returned more than once to visit the children, including for a birthday party. In court, CB lied about visiting, fearful the admission would undermine her case. In 2014, prosecutors agreed to a deal. The Smalanskases would pay CB $150,000 — half the amount owed her if she had earned minimum wage. The felony charges were dismissed. The couple would serve a year’s probation, and Martha Smalanskas agreed to do 250 hours of community service. In court, Assistant US Attorney Thomas E. Kanwit put it plainly. “We gave these defendants an incredible, generous deal,’’ he said. Catherine Piedad was confined to a $1.7 million home in Newton until she mustered the courage to call the police. Beth Healy can be reached at beth.healy@globe.com. Follow her on Twitter @HealyBeth. Megan Woolhouse can be reached at megan.woolhouse@globe.com. Follow her on Twitter at @MegWoolhouse. Maria Sacchetti and Anush Elbakyan of the Globe staff contributed to this report.